UPDATE 12:15 a.m ET Friday: The Underground Conservative has info on the Madison “housing cooperative” associated with Shankman. Linked by Jim Hoft at Gateway Pundit and Bryan Preston at PJ Tatler — thanks! One of the lessons here, by the way, goes back to the outing of anti-Palin blogger Jesse Griffin: You can blog anything you want, under any name you want, but if you think you can do attack-blogging anonymously, you’d better think twice. All it took was one e-mail tip that “Gryphen” was Griffin — a kindergarten teaching assistant — and as fast as you could say, “screen-cap those archives,” it was over. Speaking of which: Just got off the phone with Dan Riehl, who just got off the phone with Shankman. The quoted phrase in the headline is from Professor Glenn Reynolds, reacting to the terroristic screed that someone in Madison, Wisconsin, unleashed against Professor Ann Althouse. By all means, please go read the whole thing and then tell me that the rhetoric of “workers’ rights” is not a discourse of hateful envy that poisons the souls of young people who succumb to its siren song. We have seen this before in American history. The lesson is a bit too close to home — and a bit too fresh in memory — for me to let it pass unmentioned. The privileged never surrender privilege willingly. They employ demagogic appeals to rally others to their self-interested “cause” by demonizing those who dare challenge them. And if someone gets hurt in the process, if some of those duped by the demagoguery decide to turn wrathful words into violent deeds . . .
Yeah. I wrote that. And put it on the Internet. The New Tone: Because It’s Not ‘Hate’ When Liberals Do It! All it will take is one officer involved in the case who is a bit more of a union man than an police officer, and you have a potential problem. Hmmm. Another parallel to Neshoba County, you see: Because the sheriff’s department there in 1964 included Klan members, the law protected the lawless and no one would protect the innocent. Maybe someone should bring in the U.S. Department of Justice and . . .
Oh, wait. Never mind. Bobby Kennedy, he ain’t. UPDATE II: The Underground Conservative asserts that the author of the anti-Althouse manifesto is Jim Shankman. And I’d expect online research maestro Dan Riehl is going to have much, much more to tell us about Mr. Shankman. UPDATE III: Linked by Dad29 — thanks! 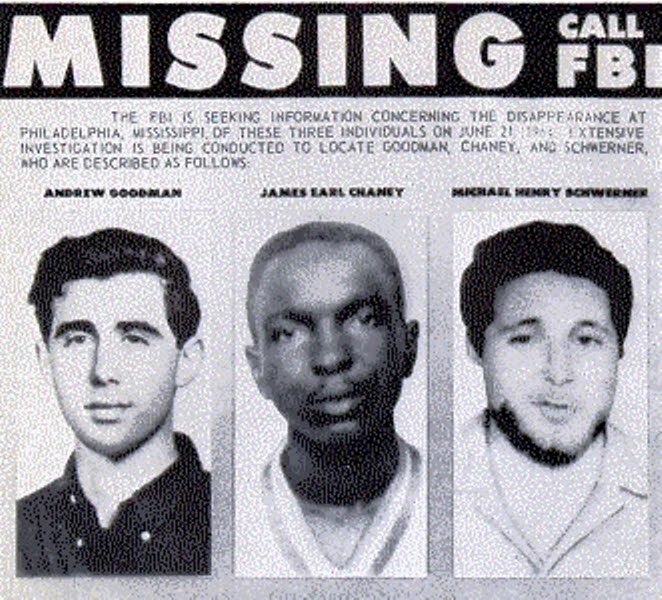 By the way, Dad29’s reference to Mississippi Burning reminds me of how much I hated that movie, which oversimplified the actual story to turn it into a moralistic melodrama. A native Atlantan of Alabama ancestry, I’ve spent my whole life under the stereotypical shadow of movies like Mississippi Burning and Deliverance. But if you complain about such media distortions, you’ll next be accused of being pro-lynching and here’s never an end to it. UPDATE IV: Underground Conservative has a photo of Shankman and his friend, Anna Louise Ogden-Nussbaum. While I have not independently verified the ID of Shankman as the author of that screed, there is certainly evidence that Shankman and Odgen-Nussbaum are lefties. On March 11, Ogden-Nussbaum posted a thank-you on a Facebook link about calls for a “general strike” in Wisconsin. UPDATE V: Death threats against a Republican state senator in Wisconsin. UPDATE VI: Ogden-Nussaum’s leftist leanings can be seen in a December 2002 story in the Madison Capital Times about more than 500 local residents who signed a “Not in Our Name” ad against the Iraq war. Here is a January 2003 press release from “Not in Our Name” Madison. In case you didn’t know, “Not in Our Name” is an anti-war front group established by Clark Kissinger, ex-SDS national leader and member of the Revolutionary Communist Party, a Maoist sect. UPDATE VII: More info: Shankman and Ogden-Nussbaum are evidently co-proprietors of a Web site called “Free University of the General Strike.” The concept of the “general strike” (and the allied concept of “direct action”) are associated with anarcho-syndicalism, the chief U.S. proponents of which were the IWW. So it seems that what we’ve got here is a couple of 21st-century Wobblies. The mind reels . . .
Anna Ogden-Nussbaum took part in one of the protests that produced many arrests. She rode her bicycle in a “Critical Mass ride” opposing the Republican National Convention and was detained with more than 200 others, her mother, Jenie Ogden, said in Madison this morning. Ogden said that her daughter, who turned 21 when while being held in a lockup in lower Manhattan, was charged with disorderly conduct and parading without a permit. UPDATE IX: Ogden-Nussbaum’s mother is also a kook lefty. Anna’s lawyer can use this as evidence of hereditary moonbatitis. Linked by The Lonely Conservative and at Piece of Work in Progress — thanks! Memeorandum has more, including the Volokh Conspiracy.